Power BI provides interactive visualizations and self-service business intelligence capability. 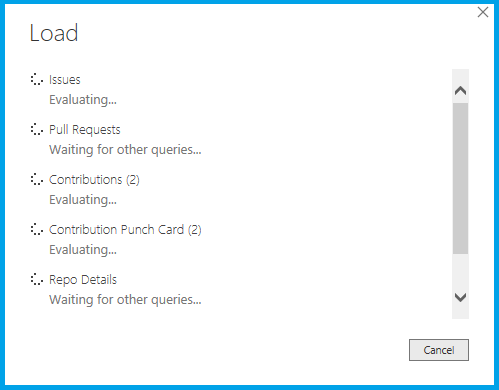 Learn how to use it to get GitHub reports. 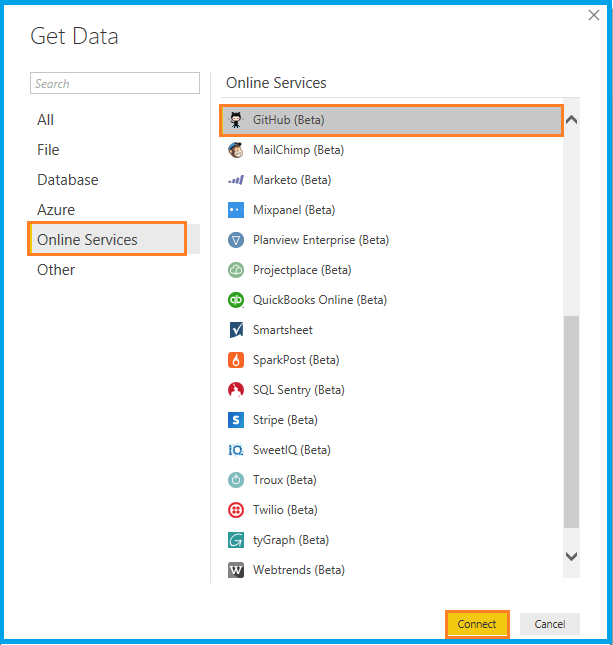 In this article, we will learn about Power BI. This article is most helpful for source maintaining as far as GitHub users are concerned. 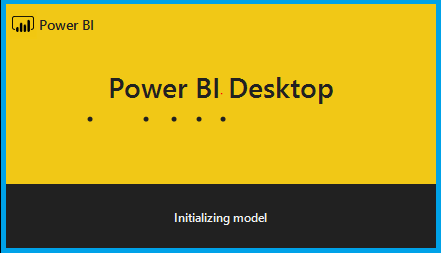 Download Power BI desktop here. Have the Windows 10 operating system. Power BI is a business analytical tool powered by Microsoft. This tool provides interactive visualizations and self-service business intelligence capability. The end user can create reports and dashboards themselves without needing help from an admin. Let's see about getting the same GitHub reports. If you have no GitHub login, click here. 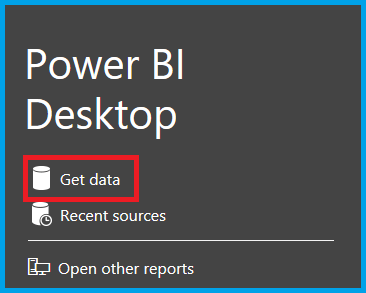 After installation, open Power BI in Windows 10. It will take some time to launch the application first time. Now, the main Window appears. Select Get data. Again, one popup Window appears with the Get data button. Go to Online Services, select GitHub (Beta), and click the Connect button. It will ask some details about your GitHub login. Once you click OK, it will ask you to log into your GitHub account for authorizing purposes. After logging in, it takes your permission to access your personal user data and repositories. 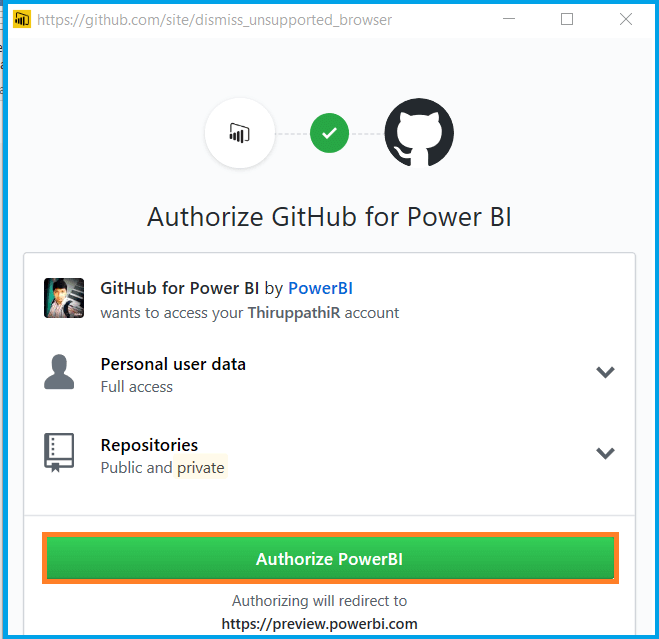 If you click Authorize PowerBI, the page will automatically redirect to get the data. 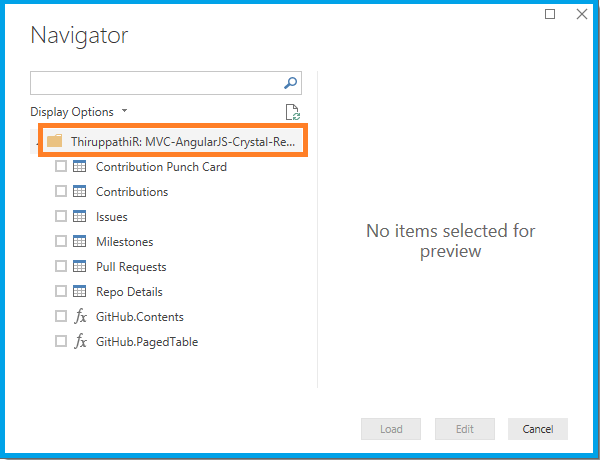 The Navigator window will appear and display the repository we've entered, which is based on repository information tables. Depending on the information you know, select the tables on the display list. Afterwards, click Load. Once the data is loaded, selected tables are shows in the right Fields slider. 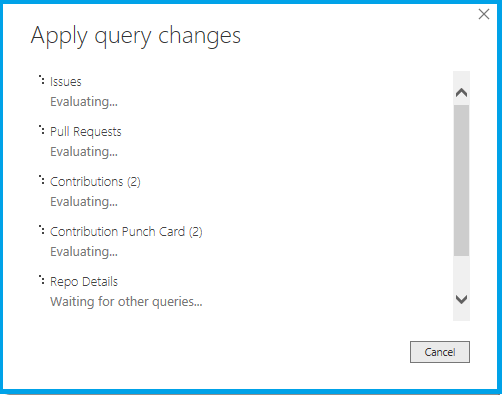 You can use filtering and sorting, and then export the data in the Report header. If you select the table icon on the left-hand side, you can see the actual table data. 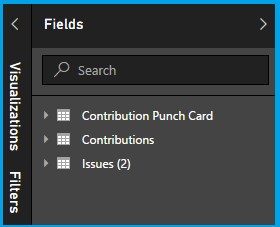 If there is any relationship in our selected table, we can see in a Relationship icon in the side menu. If we make any changes in these linked repertories, there is no need to log in again and again. Just click Apply changes on the notification message. It will be getting the latest data for your reports. In this article, we have learned about Power BI. If you have any queries, please tell me in the comments section — your comments are very valuable.